Home - Sekisui Jushi Strapping B.V. 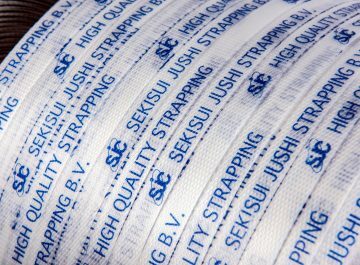 Since 1974, Sekisui Jushi Strapping BV has been one of the leading manufacturers and suppliers of high-quality polypropylene (PP) and polyethylene terephthalate (PET) strapping in the world. Our Japanese technological knowledge and European craftsmanship in combination with reliable delivery and quality have proved to be the pillars of our success. 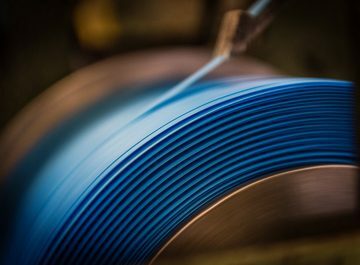 End users in a range of sectors utilize Sekisui Jushi strapping in their everyday operations, such as the industrial sector, wholesale, and logistics providers. You can pack just about anything with our high-quality strapping. You can also print text and logos onto the strapping in order to boost your brand visibility and add labelling for the purposes of safety, traceability and certification required by law, such as the CE marking. Europe, North Africa, and the Middle East. 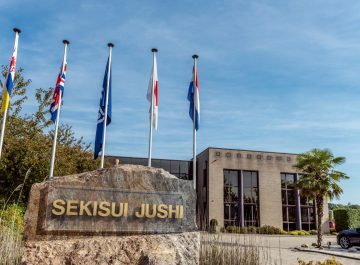 Our business, part of the global Sekisui corporation, has built up a very strong reputation in Europe, North Africa, and the Middle East. Latest news: Printed Strap - Special Offer!